HONG KONG, Apr 20, 2018 - (ACN Newswire) - The 33rd HKTDC Hong Kong Houseware Fair and the ninth HKTDC Hong Kong International Home Textiles and Furnishings Fair opened today and continues through 23 April at the Hong Kong Convention and Exhibition Centre (HKCEC). The four-day fairs are bringing together more than 2,600 exhibitors from 26 countries and regions to showcase the latest housewares, home textiles and furnishing products. 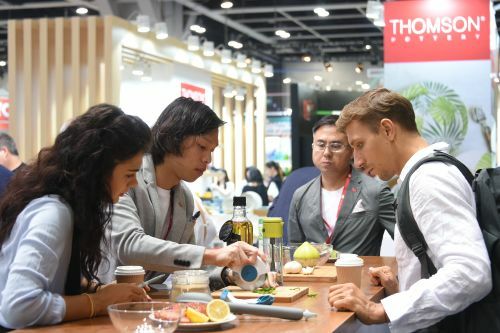 As the largest trade fair of its kind in Asia, the Hong Kong Houseware Fair welcomes 2,300 exhibitors from 25 countries and regions, including new participants from Russia and Pakistan. In view of last year's encouraging response, the fair's main theme continues to be "L.I.F.E." which stands for its four major themed zones: Lifestyle, Interior, Feast and Enrich. To highlight these themes, the HKTDC collaborates with NellyRodi, a well-known Paris-based trend-forecasting agency, to present four corresponding trend concept displays, namely "Colonial Chic", "Vital Vibe", "Magnetic Mix" and "Super Solarium." 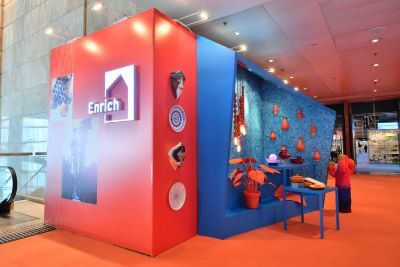 The displays showcase a wide array of products of various colours, materials, shapes and moods handpicked from various exhibitors to bring inspiration to buyers. Representatives from NellyRodi also unveiled the houseware and home textiles trends for summer 2019 at a trend seminar held this afternoon. Highlight zones of the Houseware Fair this year include the Hall of Elegance, World of Fine Dining and World of Fine Decor, which come under the "Lifestyle" theme. "Feast" features the Coffee Alley, while the Startup Zone and World of Building & Hardware are highlighted under the "Enrich" theme. 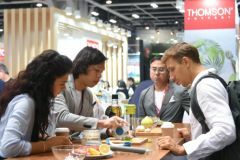 The HKTDC has organised 129 buying missions comprising around 7,000 buyers to visit the two fairs, creating further opportunities for the industries. The HKTDC fully supports startups, providing a business platform for them to connect with global buyers and potential investors through trade fairs and business matching services. The Startup zone returns this year, featuring 24 start-ups from Hong Kong, the Chinese mainland, Taiwan, as well as a newcomer from Bangladesh. Interesting exhibits include the mini electric gym bike Bicit, from Hong Kong exhibitor Maxcare (5D-A21), which is equipped with a dedicated game app allowing users to compete with friends online. Herb&Fish CONNECT, a trendy household aquaponics decoration incorporating smart technology that enables users to control its LED light and monitor the water temperature through a mobile app, comes from Taiwanese designer brand Arky Design (5D-A14), which has developed a range of smart products with support from crowdfunding. "Entrepreneurs may lack funding, information and connections when starting their business. They also need support in brand positioning and promotion," said Benjamin Chau, HKTDC Deputy Executive Director. "We are organising a number of 'Startup, Smart Launch' sessions to enable start-ups to obtain advice from experts on their business ideas." Hong Kong has long been known for its concentration of creative talent as well as agencies that source innovative designs from around the world. Innovative exhibits from Hong Kong exhibitors include: Chopping Boarding Kitchen Scale: a chopping board with stainless steel kitchen scale, allowing users to measure volume of water or food portions (3G-D08); Bowling Vacuum Wine Pump: a bowling pin-shaped wine pump equipped with a vacuum indicator (1E-A17). Interesting exhibits from international brands include: Carl Schmidt Sohn (Germany) - Aron cookware set: a winner of the Reddot, iF and Frankfurt Ambiente Solutions awards, the set comes with a lid that can hold utensil as well as flexi handles that secure the glass lid in place when straining (1E-B17); Korean Electronic Bidet: various cleansing modes including auto cleansing, bidet cleansing and child cleansing, with stronger water pressure and comfortable bubble washing (5E-D23); Honeycomb Rack (Taiwan): a patented product made with HIPS, a shock-absorbent material, and equipped with an iron wine rack (3C-E34). Held concurrently with the Houseware Fair, the Hong Kong International Home Textiles and Furnishings Fair has drawn more than 300 exhibitors from nine countries and regions, with new exhibitors from Pakistan. Nantong city of the mainland's Jiangsu province, dubbed "the Hometown of Textiles", as well as a number of Indian export associations are returning with dedicated pavilions. In line with the Houseware Fair, the Home Textiles and Furnishings Fair adopts the "Interior" theme and showcases a variety of home textiles, upholstery and furnishing products. Highlight zones include the Hall of Glamour spotlighting quality brands and designer collections, Baby & Bedroom Textiles, Bathroom & Kitchen Textiles, and Upholstery & Furnishing. Interesting products include the ALMAC 3D curtain featuring an unusual, origami-inspired 3D visual design from Hong Kong exhibitor Kangjia Group Co., Ltd (Booth: 3B-D07). Indian exhibitor Fibre World (Booth: 3B-D09) showcases a handmade Coco Rubber Mould Mat that uses coconut fibre, making the item highly durable with long-lasting colour. 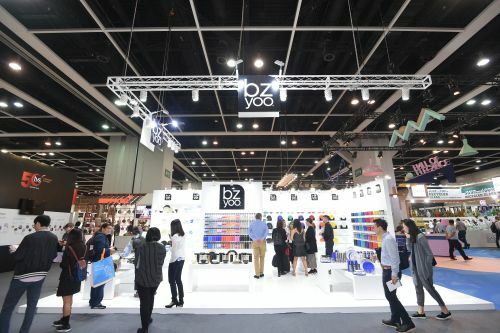 The HKTDC is staging a series of events during the fair period to help industry players keep abreast of the latest opportunities in the houseware and home textiles markets. A seminar will feature renowned trend forecaster WGSN predicting lifestyle trends, while other seminars cover a range of topics including the latest technological and market developments in the building industry, as well as testing, certification and inspection services for houseware products. Other activities include the "International Kitchenette" cooking demonstrations by chefs using the latest kitchenware, and the "Latte Art Performance" with professional baristas making coffee for fair participants. A number of Product Demo & Launch Pad sessions cover such products as housewares, pet supplies, home textiles, building and hardware products. Buyer forums will examine opportunities in the Australian, Brazilian, Turkish, Burmese and Indian markets. The HKTDC's e-Badge initiative, which was well-received when it was launched last November, will gradually be introduced to most of the trade fairs this year, including the Houseware Fair and the Home Textiles and Furnishings Fair. The Hong Kong Houseware Fair and the Hong Kong International Home Textiles and Furnishings Fair are bringing together more than 2,600 exhibitors from 26 countries and regions to showcase the latest housewares, home textiles and furnishing products. The Houseware Fair's main theme "L.I.F.E." stands for its four major themed zones: Lifestyle, Interior, Feast and Enrich. To highlight these themes, the HKTDC collaborates with NellyRodi, a well-known Paris-based trend-forecasting agency, to present four trend concept displays. The Hall of Elegance at the Houseware Fair gathers 36 exhibitors, bringing renowned local and international brands, attracting plenty of buyers.